Origin-Alps: “Origins, assembly and conservation of plant diversity in the European Alps” – International Projects for Collaborative Research (PRCI) ANR-SNF (France-Switzerland), 2017-2019. Coordinated by S. Lavergne (with N.Zimmermann for the SNF). Sphinx: “Understanding and predicting species adaptation to environmental changes in insects” – Agence Nationale pour la Recherche (ANR), 2016-2018. Coordinated by R. Rougerie. Nunataks: “Testing for high-elevation quaternary refugia of alpine plants” – Labex OSUG@2020, 6ème Appel à Projets – Volet Recherche. 2016-2018. Coordinated by S. Lavergne. Coussins: “Histoire et adaptation de la flore de haute montagne dans un contexte de changement climatique: les plantes en coussins des hauts sommets du Massif des Ecrins” – Pôle Biodiversité du Conseil Général de l’Isère (France), 2015-2017. Coordinated by S. Lavergne. PhyloAlps 2.0: “Reconstructing the evolutionary history of the Alpine plant biome” - France Génomique (Call “Grands projets de séquençage”, National Sequencing Center, Evry, 2014-2015). Coordinated by S. Lavergne. 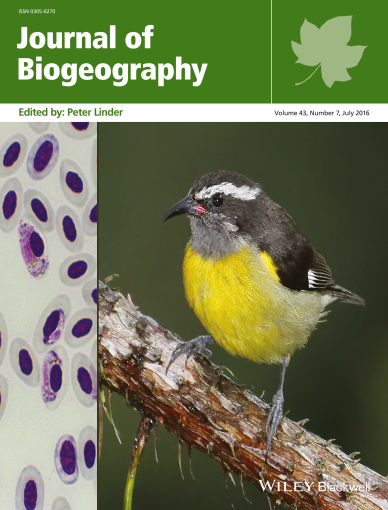 Odyssee: “Opening new avenues to model the DYnamics of Species aSsemblages by integrating Ecology and Evolution: a case study from the mountain ecosystems of the Alps and the Carpathians” – ANR International France / Romania, 2014-2017, coordinated by Philippe Choler. WhoIsNext: “Climate change and escaping ornamentals: Predicting the next generation of European plant invaders” – ERA-NET Biodiversa network, 2014-2017, coordinated by Mark van Kleunen (Univ. Konstanz, Germany). PEPS: "Evolutionary Potential in Wild Populations" - Agence Nationale pour la Recherche (ANR, France). 2013-2015. Coordinated by C. Teplitski. TEEMBIO: “Towards Eco-Evolutionary Models of BIOdiversity” - European Research Council (Starting Grant). 2012-2016. Coordinated by W. Thuiller. EvoRange: "How does evolution affect extinction and species range dynamics in the context of global change? Implications for ecological forecasting" - Agence Nationale pour la Recherche (ANR, France). 2010-2013. Coordinated by O. Ronce. Ambroisie: "Predicting the risk of invasion in alpine environments: how evolution and dispersal drive the upward colonization of common ragweed" - Conseil Général de l'Isère / Conservatoire Botanique National Alpin (CBNA). 2011-2012. Coordinated by S. Lavergne. Scion: "Scenarios of global change impacts on biodiversity based on innovative modelling approaches" - Agence Nationale pour la Recherche (ANR, France). 2010-2012. Coordinated by I. Chuine. Androsace: "Predicting the evolutionary response of alpine rare plants to current global changes, a case study of Androsace lactea L. in the Vercors mountains" - Conseil Général de l'Isère / Conservatoire Botanique National Alpin (CBNA). 2008-2009. Coordinated by S. Lavergne. CAMBIO: “Monitorización de comunidades y poblaciones de plantas en límite para la detección de cambios en la biodiversidad de Montaña” – Ministerio de Ciencia e innovación (Spain). 2011-2013. Coordinated by María B. García (CSIC Zaragoza). Diversitalp: "Forecasting the impacts of global changes on the French Alpine Flora: distribution of specific, functional and phylogenetic diversities, simulations and conservation strategies" - Agence Nationale pour la Recherche (ANR, France). 2008-2011. Coordinated by W. Thuiller. Ecochange: "Challenges in assessing and forecasting biodiversity and ecosystem changes in Europe" - FP6 European Integrated project (EU). 2007-2011. Coordinated by P. Taberlet. 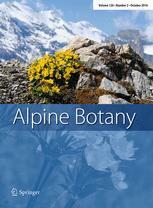 "Monitoring vegetal biodiversity and its components in an alpine national park. Ordesa National Park" - Programa Nacional de Desarollo Experimental (Spain). 2009-2011. Coordinated by María B. García (CSIC Zaragoza). 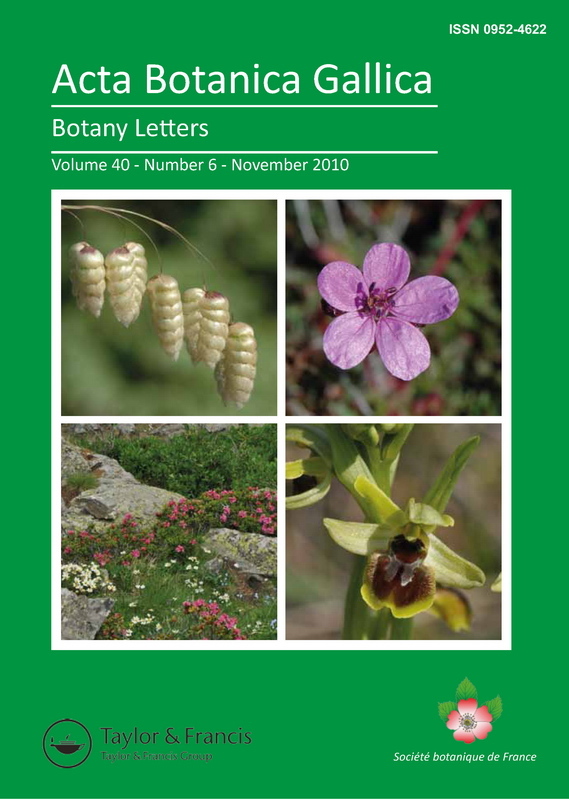 "Endemism, species diversification and phylogenetic structure of plant communities in the Baetic Moutains, a Mediterranean Hotspot of Biodiversity" - Plan Andaluz de Investigación 2007-2008 (Spain). Coordinated by Abelardo Aparicio (University of Seville). - Program for Integrated Actions France/Spain "Picasso". 2009-2010. Coordinated by Juan Arroyo (University of Seville). "Elucidating the factors responsible for range expansion in the invasive species, Phalaris arundinacea: a comparative approach" - United States Department of Agriculture (USDA) and Cooperative State Research, Education and Extension Service (CSREES). 2003-2007. Coordinated by Jane Molofsky (University of Vermont, USA). "Biology and ecology of Mediterranean narrow endemic plant species. Implication for conservation strategies" - Institut Français de la Biodiversité (IFB) 2001-2004. Coordinated by Max Debussche and John D. Thompson.